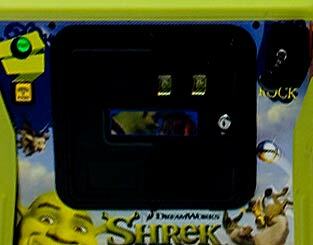 Welcome to the start our coverage of Stern's new Shrek pinball machine. Stern have announced the game in a press release and provided the picture of the machine below and the backglass which you can see above. 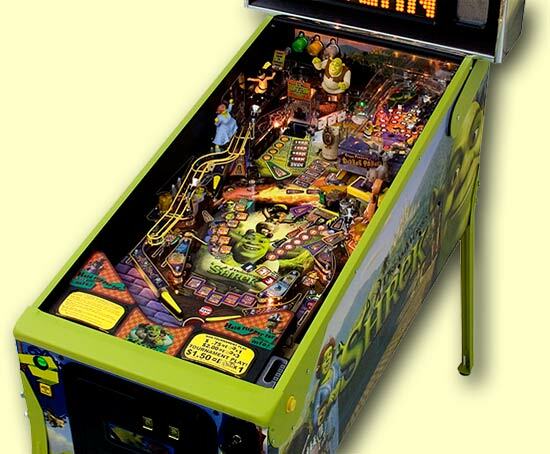 First of all, the game stands out from all previous Stern machines with the distinctive bright green metalwork trim and legs designed to match the Shrek theme. As you may know, Shrek is based on the playfield design for Family Guy. So the layout is the same but there are substantial differences with all new artwork, dot matrix displays, sounds, rules and playfield toys. As expected, Shrek takes the lead role, replacing Family Guy's Peter. But Fiona doesn't sit on the right side as predicted but instead she assumes Meg's position on the left. Donkey takes over from Stewie giving the opportunity for lots of witty and acerbic comments both during regular play and with Donkey's mini pinball. The beer can from Family Guy has transformed into the magic mirror featuring Prince Charming while Chris has been replaced by Puss In Boots and Lois becomes Gingy the Gingerbread Man. There is a whole new art package both on the playfield and on the cabinet sides from John Youssi. Everybody’s favorite Ogre is making his way to pinball! 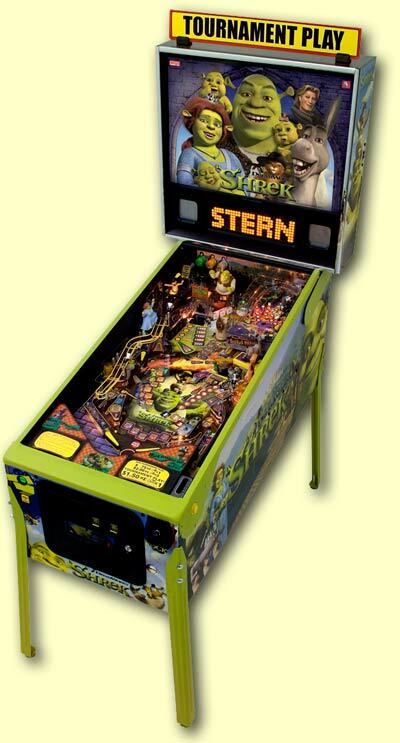 DreamWorks Animation’s SHREK® franchise is the highest grossing animated movie franchise of all time and now has an officially-licensed pinball machine. 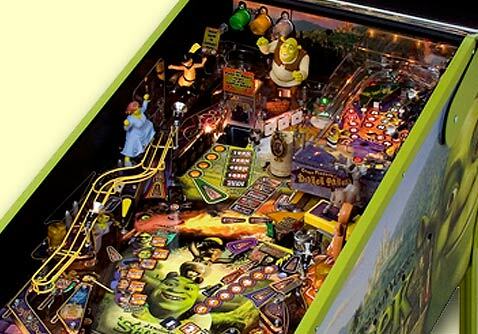 The SHREK pinball machine’s main feature is Donkey’s mini-playfield, a small pinball playfield that sits in the upper right hand corner. It has mini-flippers that the player controls with the regular flipper buttons when the game is in ‘Donkey mini-playfield’ mode. The mini-playfield has ramps and targets to shoot at while an actual Donkey figurine spins in front of the mini-playfield. 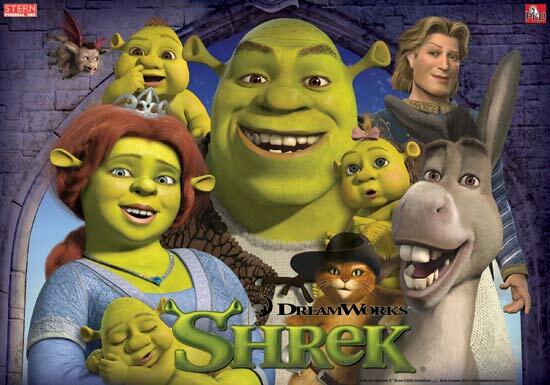 “SHREK pinball has great depth and is fun and easy to understand for the casual player. This is a great game for both home owners and game operators,” said Gary Stern, President of Stern Pinball.